Fairborn City Schools Superintendent Mark North. Submitted photo The Fairborn Board of Education was recognized as a Gold Level Effective School Board March 13 at the Ohio School Board Association Southwest Region meeting. Superintendent Mark North was also recognized as an “Outstanding Superintendent.” Pictured are Fairborn Board of Education members Pat McCoart, President Andy Wilson and Jerry Browning. 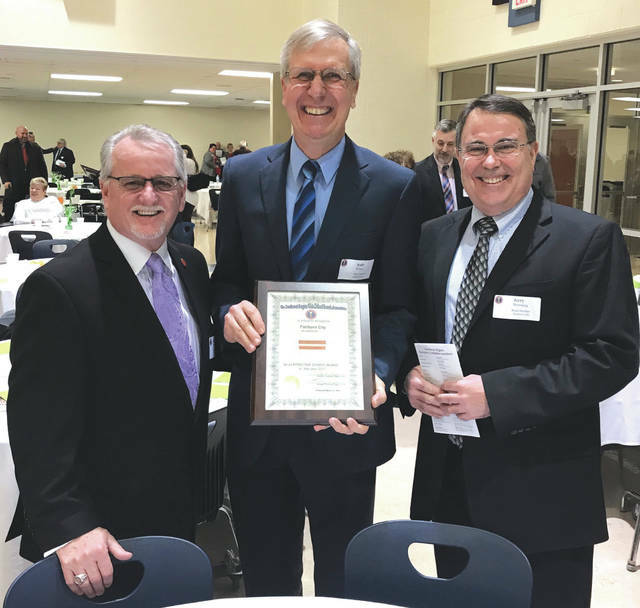 The Fairborn Board of Education was recognized as a Gold Level Effective School Board March 13 at the Ohio School Board Association Southwest Region meeting. Superintendent Mark North was also recognized as an “Outstanding Superintendent.” Pictured are Fairborn Board of Education members Pat McCoart, President Andy Wilson and Jerry Browning. 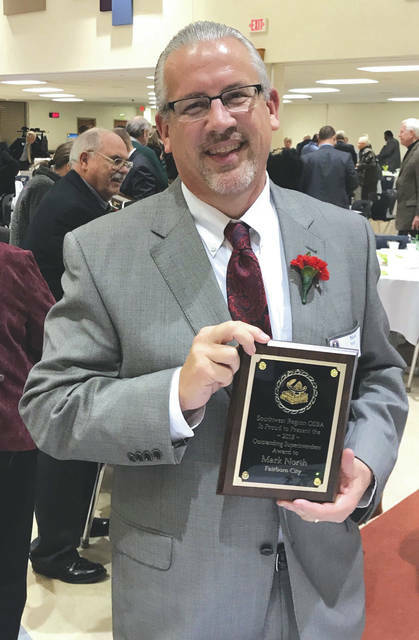 https://www.fairborndailyherald.com/wp-content/uploads/sites/50/2018/03/web1_schoolboardhonored2.jpgFairborn City Schools Superintendent Mark North. https://www.fairborndailyherald.com/wp-content/uploads/sites/50/2018/03/web1_schoolboardhonored1.jpgSubmitted photo The Fairborn Board of Education was recognized as a Gold Level Effective School Board March 13 at the Ohio School Board Association Southwest Region meeting. Superintendent Mark North was also recognized as an “Outstanding Superintendent.” Pictured are Fairborn Board of Education members Pat McCoart, President Andy Wilson and Jerry Browning.